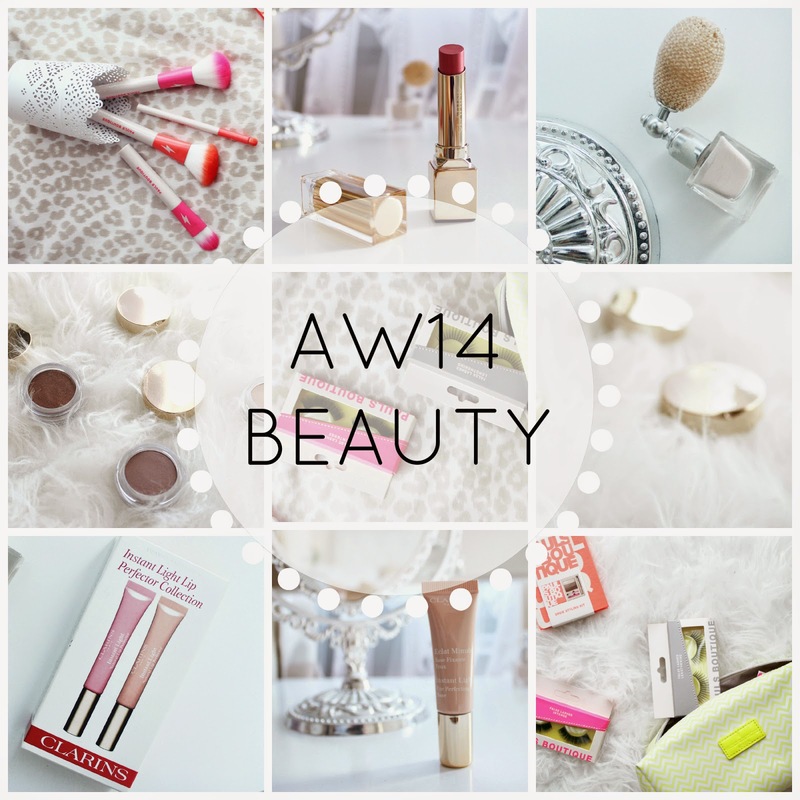 AW14 BEAUTY: Hot Trends, Hot Brands. Perfect timing to explore what AW14 has in store for us, and this time I’m talking beauty. My luxury beauty journey goes back to when I was growing up and assisting my mum in her various flashy beauty hauls, whilst sampling the favourite bits prior to my latin-american and ballroom dancing competitions – a perfect ‘starter kit’ for a young beauty-nista! From Chanel perfumes to Elizabeth Arden skincare, Estee Lauder, Dior, La Prairie (the list goes on…), I’ve always been ‘accidentally’ on-trend. A little trip down this memory lane ended up with online-window-shopping at Harrods, discovering the latest luxury jewels! I mean, who would have thought that a Swarovski moisturiser from Kiehls is now £5,000? So what’s really new in the beauty world this season? …breaks into the beauty market this autumn with the new fashion-forward PB beauty collection, inspired by their eclectic London roots and the love for design and fashion trends. Less words, more pictures! Here is a little preview of what’s really in store for us. 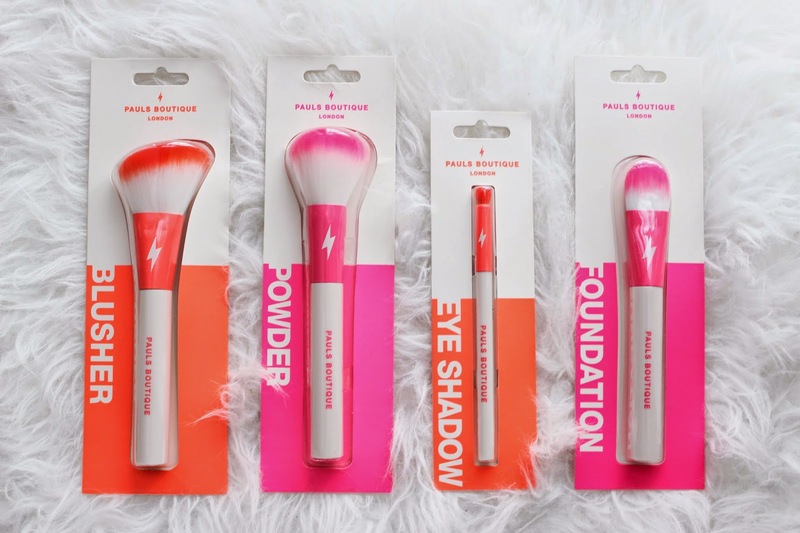 These gorgeous PB make-up brushes are the new ‘it’ in the beauty blogger + vlogger circle. Brow Styling Kit and the new Pauls Boutique False Lash collection are the perfect match for both professional make-up artists as well as ordinary girls like us! This season is all about that eye appeal and elegance. Ombre matte palettes, glowing skin and captivating lip colours, – and this is just a little part of what’s on the ‘Clarins menu’. 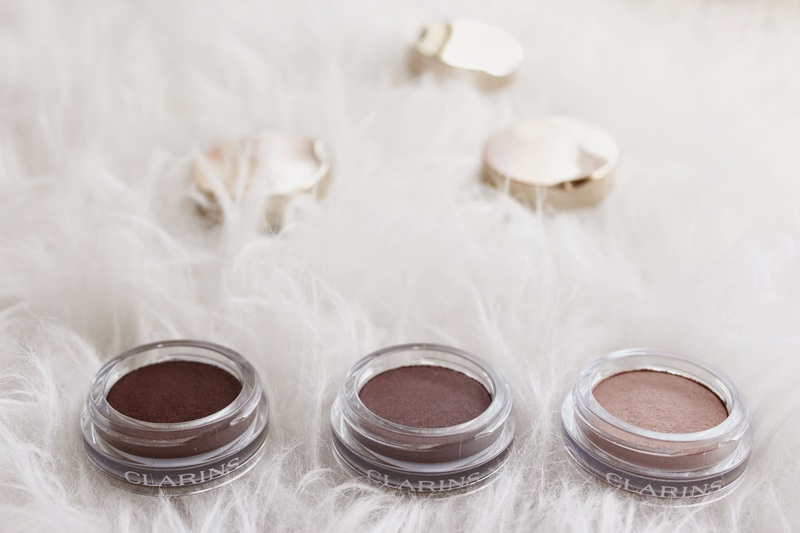 These lightweight eyeshadows feature a unique cream-to-powder formula that works as a fine smoothing agent, providing quick application and long-lasting results at the end. Rouge Eclat lipstick range sees 5 new shade additions this season. I’m personally obsessed with this lipstick already as it’s smartly designed to protect lips again dehydration and boost collagen (which is especially beneficial) with a featured Mimosa, Jojoba and Sunflower plant elements, which also might explain the luxurious smell. 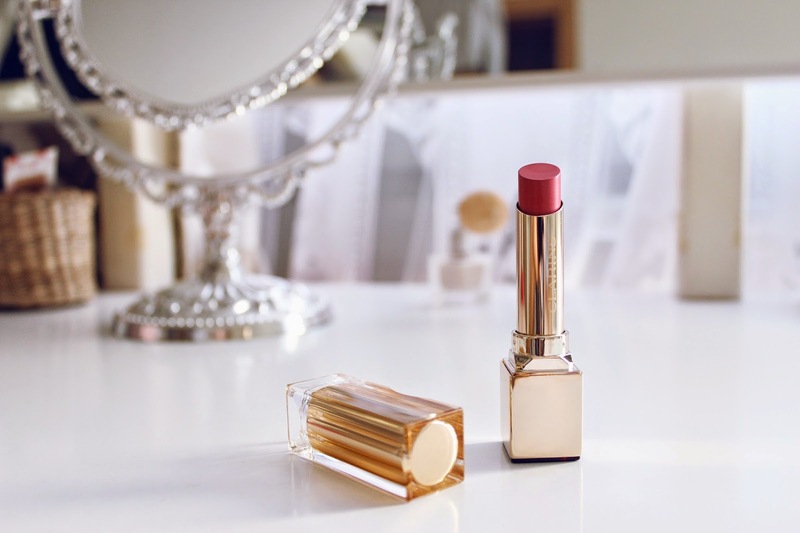 Featured on the photo: Rouge Eclat Satin Finish Age-Defying Lipstick in Shade 16. 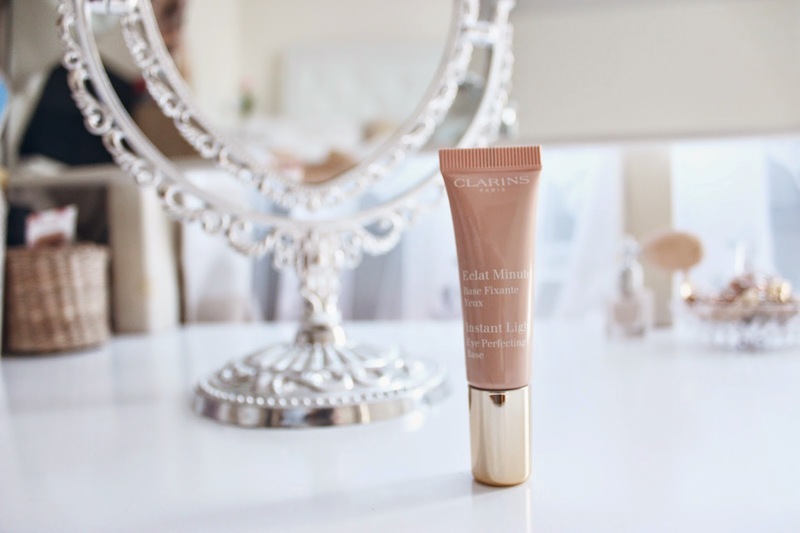 Next on my list – Instant Light Eye Perfecting Base. Perfect to brighten up the under-eye area or as a perfect base for eyeshadow, this product is definitely handy for all occasions, yet especially ideal to apply on-the-go. The hottest AW14 beauty trend? 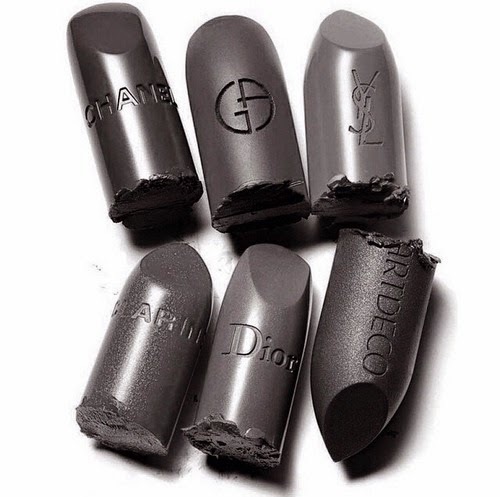 This season I envisage pointy nails, gold accessories, veil beanie hats, black lipstick and gothic vibes everywhere. Do you know what I’m taking ‘bout? Next Post MEET THE MOCKS.